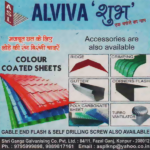 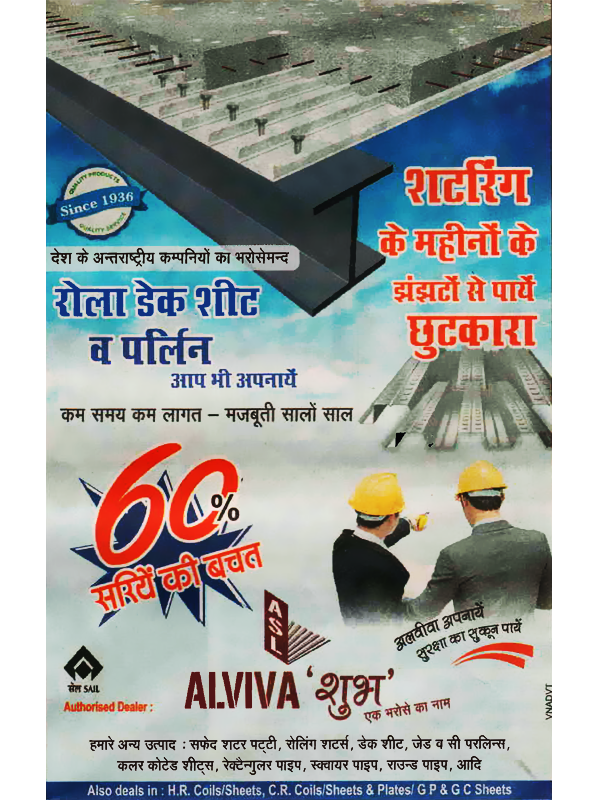 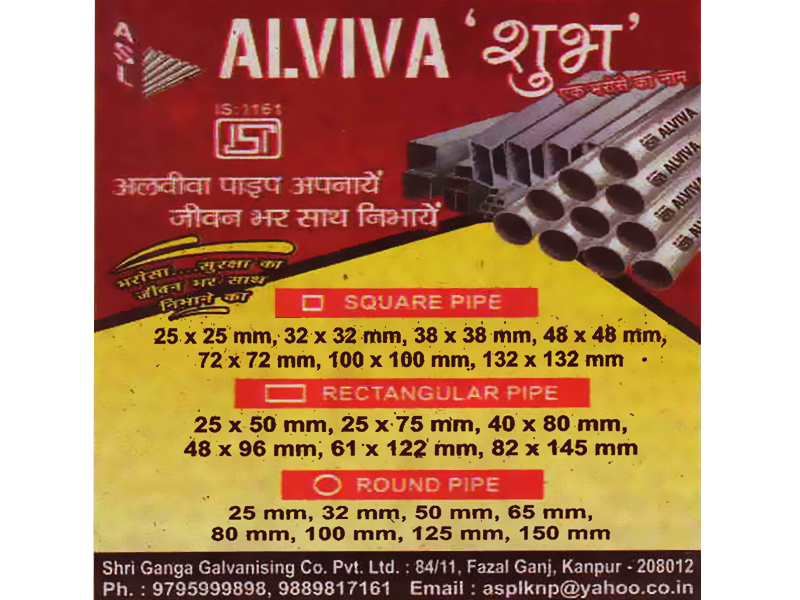 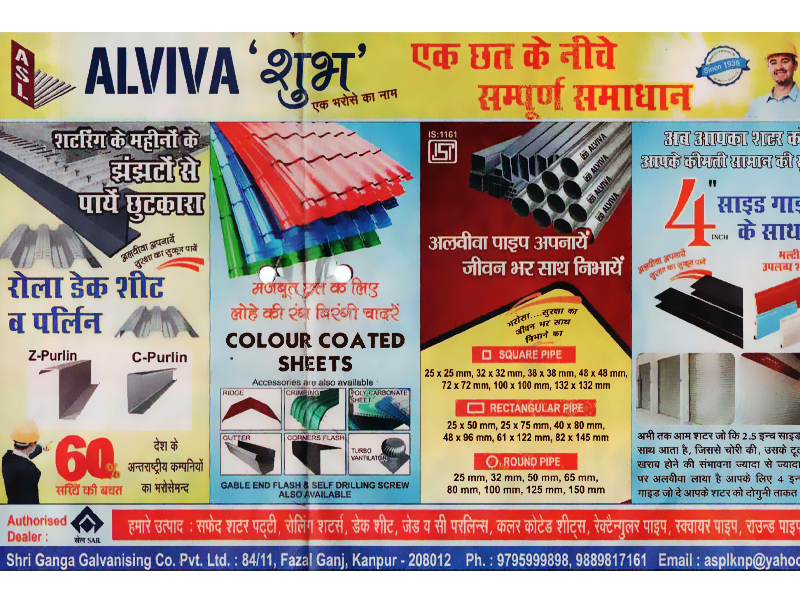 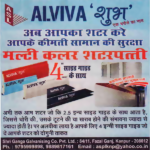 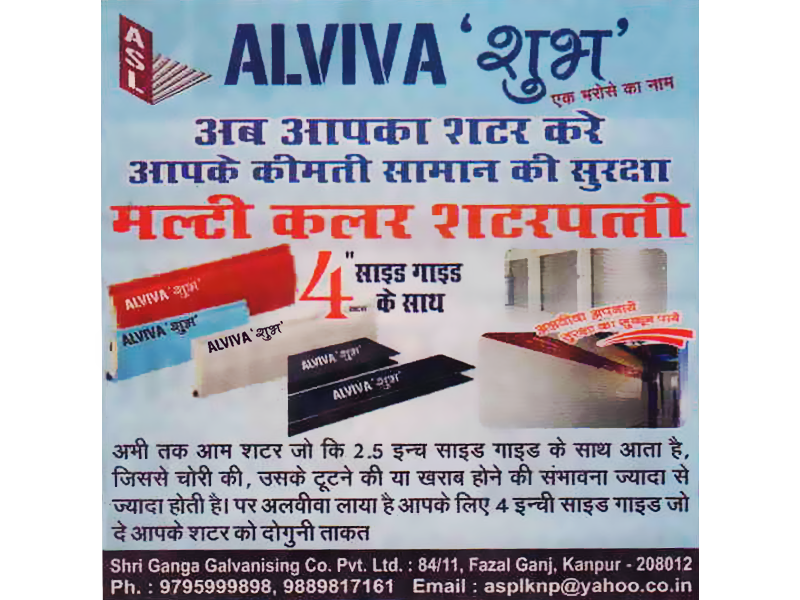 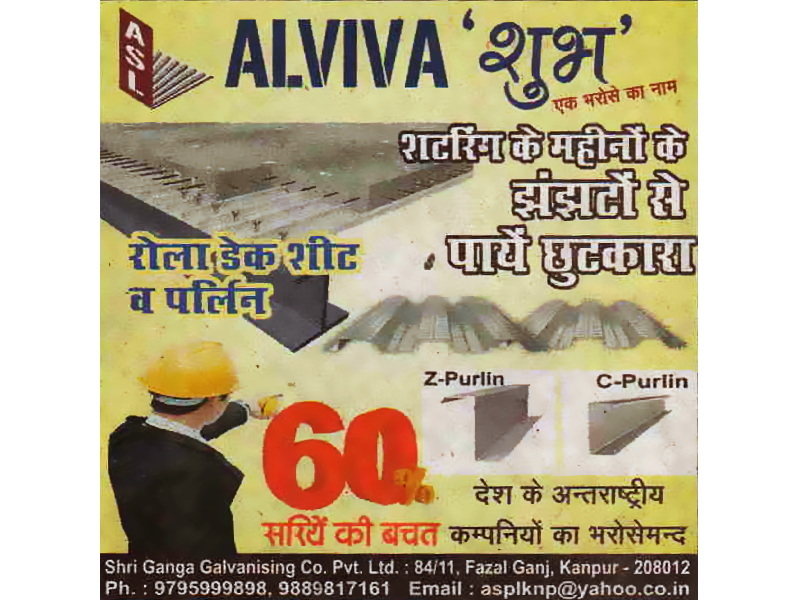 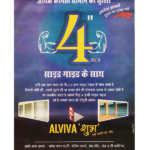 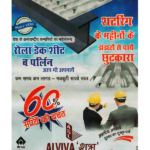 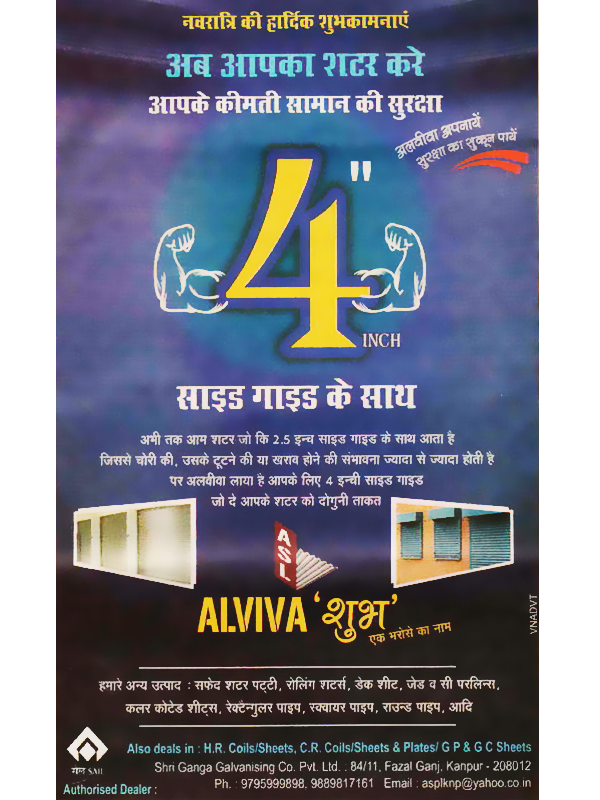 ALVIVA STEELS LIMITED is headquartered in the industrial city of Kanpur. 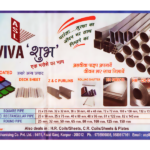 We are into manufacturing of high-end structural steel products being made from the finest quality of cold rolled forms. 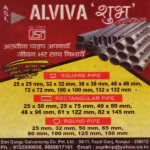 We have an excellent distribution network that helps us for quick turnaround time for our customers. 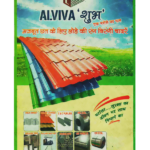 We have established ourselves as a popular brand among maximum construction houses of the country. 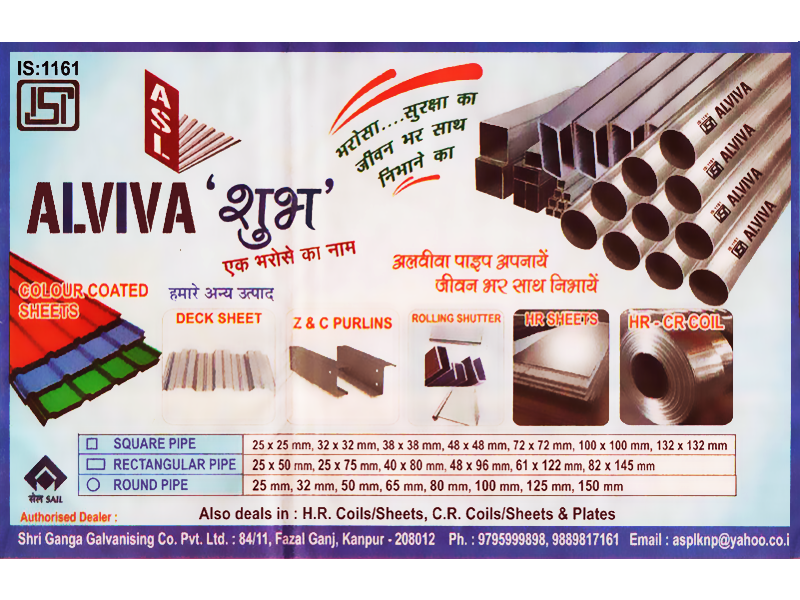 We have got pan India buyers for our wide range of products. 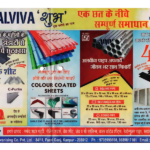 The entire range of our products cater to the need of builders of commercial warehouses and various other industrial and commercial constructions thus it is widely used by all the blue-chip industrial houses of the land. 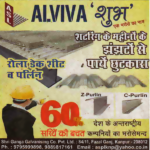 The most prominent usage of the product is done during the construction of railway station sheds, sports stadiums, parking stands shed for two wheelers and four wheelers, school and college building sheds, cattle yard sheds, store yards, industrial sheds, sheds made in residential areas and farm houses etc. 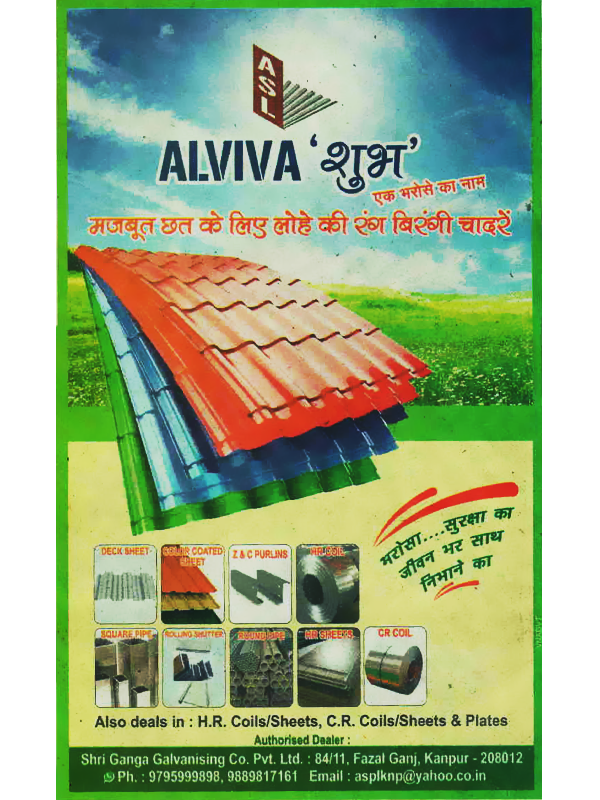 All the products made by Alviva are eco-friendly, low weighted and have high heat resistant. 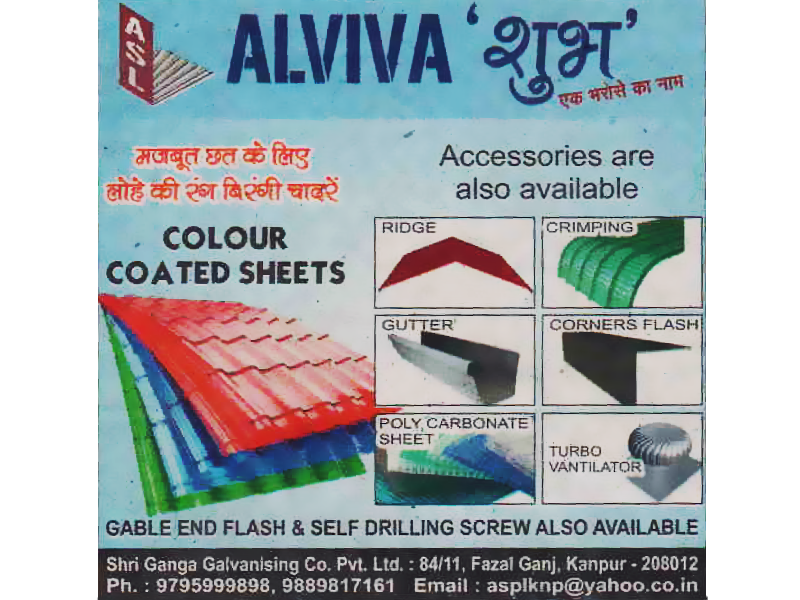 They look colorful, easy to use and are extremely cost-effective.